Canadian Emergency Skills Programs provide continuing education in critical emergency skills within a midwifery context both in hospital and out-of-hospital settings. Each provincial and territorial regulatory body requires that emergency skills be maintained at regular intervals and is responsible for monitoring the continuing competency of registrants; please contact your provincial or territorial regulatory body for more information. 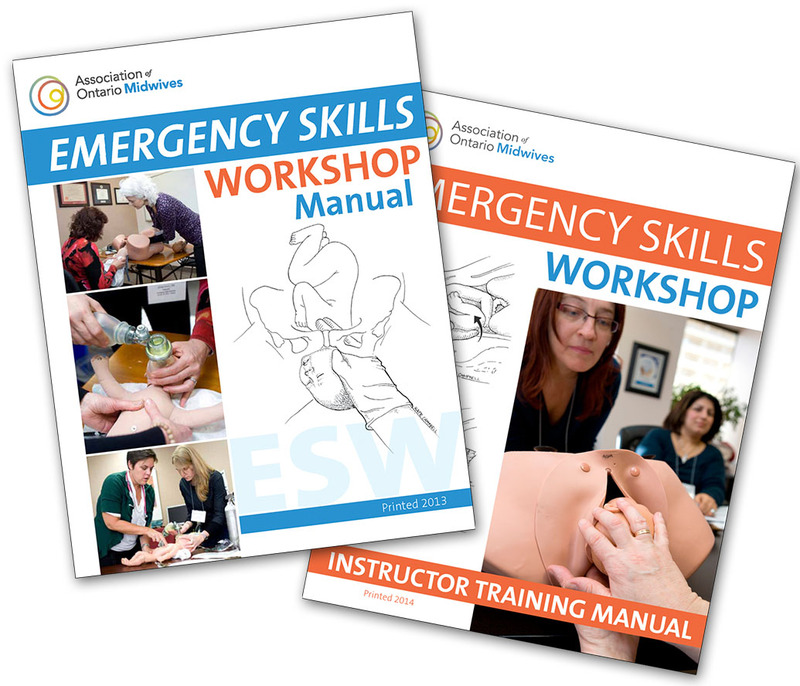 The Canadian Association of Midwives facilitates access to the Association of Ontario Midwives Emergency Skills Workshop (ESW) materials to registered midwives and other health professionals in provinces and territories outside of Ontario. CAM also ensures that these materials are accessible in both English and French. Manuals, Instructor Manuals and Online Exams can be purchased online. Manuals are available in hard copy only. Who to contact to learn more about Emergency Skills Continuing Education? The Canadian Association of Midwives recognizes the Association of Ontario Midwives’ role in the development of the program.